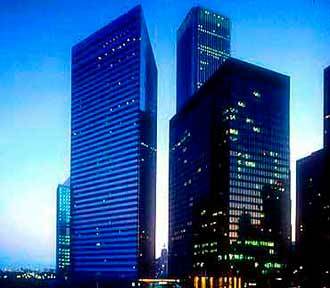 The Swissotel Chicago is a striking triangle of gleaming glass designed by noted Architect Harry Weiss. 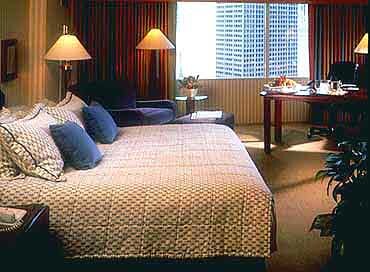 The panorama view from the luxury rooms and suites extend from the Navy Pier to Grant Park. The personalized service and European elegance provide the perfect setting for the discerning traveller. Step outside and shop the Magnificent Mile, take in a show at the Chicago Shakespeare Theater, visit the Art Institute of Chicago and have the convenience of the financial and business district just a short walk away. guests. The Presidential Suite is located on the 41st floor and is all that one would expect and more. With views of Lake Michigan and the Chicago skyline, there is a marble foyer, fireplace, separate dining room for up to 10 persons, grand piano, a full bar, separate office, Jacuzzi, walk-in shower and separate toilette. Currents, the new restaurant with American cuisine and Mediterranean influences offers a grand selection of newly released wines. The Geneva is a breakfast restaurant serving an American breakfast with a European flair. The Expressions is a casual cafe which serves Lavazza Italian coffee and offers and afternoon coffee and European pastries. 24-hour room service is available from a special menu designed by the Chef. The Palm Restaurant is Chicago's outpost of the Manhattan original which offers fine dining and cocktails. The Palm is known for huge prime steaks, jumbo Nova Scotia lobsters, and its "Wall of Fame" featuring the caricatures of celebrities and local VIPs. The Expressions Martini Bar offers live music and a variety of 25 Martinis. Swissotel Chicago has the perfect venue. There are 31 meeting rooms, ballrooms, penthouse suite, theatre setting, board rooms or private suites to chose from. The Grand Ballroom is 6,016 square feet with 14 foot ceilings and seats up to 500 people for theatre style and 700 people for a reception. The Alpine Ballroom is 2,560 square feet with 18 foot ceilings and seats up to 225 theatre style and 250 for a reception. 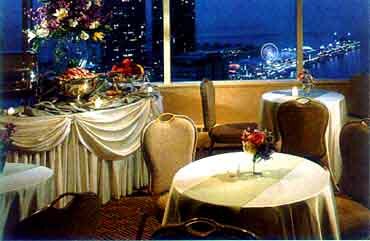 The Edelweiss Penthouse Dining Suite is located on the 43 story overlooking the cityscape and lakefront and is 2,907 square feet and seats up to 260 for a reception and 240 for dining. The William Tell Theatre is a 510 square feet, permanently tiered theatre, seats 60 people and is equipped for simultaneous translations. There are also the third and fourth floor Meeting Rooms and the Boardrooms - Arosa and Lugano. The Swissoffice, business center, serves as your branch office with services such as photocopying, faxing, cellular phone rental, laptop computer rental, laser printers, color printers, private work stations and much more. 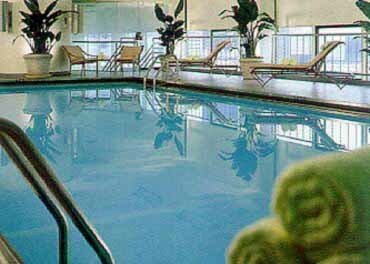 The professional staff of the Swissotel Chicago assures your stay to be a successful one.